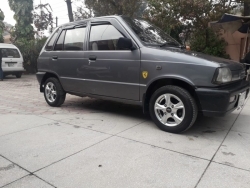 *Bumper to Bumper genuine only driven 16000 km in Lahore. *Life time token paid with original book and file with two original keys. *First owner of the car. 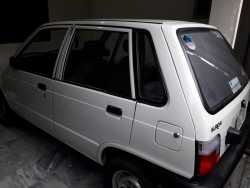 *Denso fitted original air conditioner by Punjab Car AC. *Lush Condition and non-accidental. *Not a single dent. 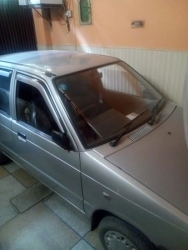 *Its a family car, to be sold to buy a bigger one. 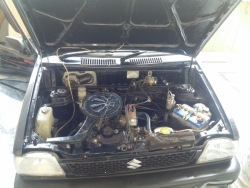 *EFI engine 10/10 *Japenese Dunlop Tyres *Regularly maintained by Authorized SUZUKI MOTORS. 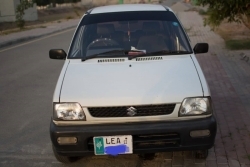 *Original Number Plates fitted issued by Motor Registration Authority Punjab. 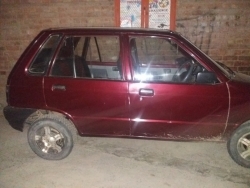 *Original pictures of car attached. Have a look and decide. 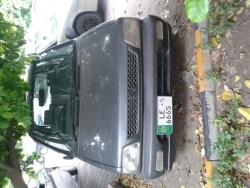 Mehran VXR CNG company fitted available for sale in good condition. Price is negotiable. 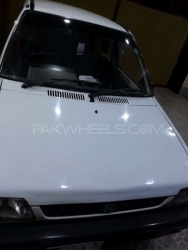 Suzuki Mehran VX 2012 Registered in Lahore. 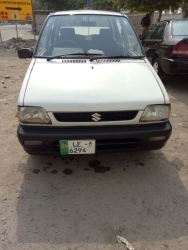 Well Maintained, non accidental Music Player Central Locking System Genuine body and paint CNG never installed. AC Installed Original Book Life time token Paid Only Serious buyers please. Price is SLIGHTLY negotiable.